At twenty-six, Hope has only ever slept with one man, and at her boss’s unsolicited advice, Hope plans to forget the abuse and degradation she suffered at her ex’s hand by seducing and bedding the next man she meets. 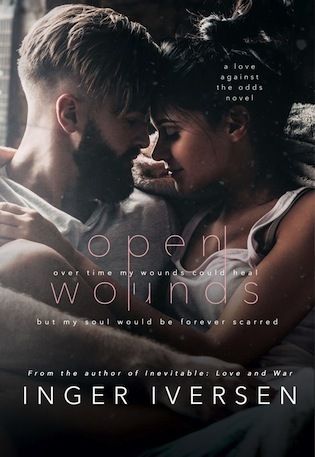 Only, after Hope finds a promise of death at her doorstep, her plans are derailed and only chance at staying alive rests on the dedication of her new bodyguard and her own sheer will to live the life she deserves. 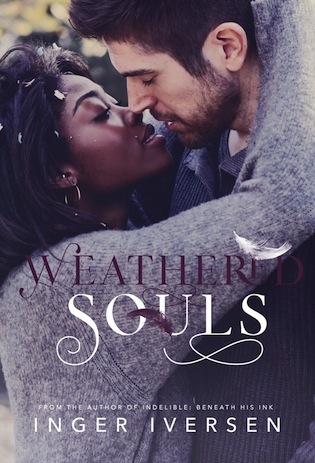 AND – look out for the last book in the series, Weathered Souls: Ivory & Eric, coming this fall! Once Thea and Lex dropped off the groceries, Abel started cooking away. Hope’s mouth watered as scents wafted through the kitchen and met her nose. If the aroma from whatever was brewing on the stove was any indication, that man could cook. Hope had always watched her figure while married to Mark. All it took was one extra pound, and he’d make sure her life was even more of a living hell than it already was. Every night, he’d force her onto the scale, and every night, he would find something about her body that needed to change. Your thighs shouldn’t meet in the middle. It’s disgusting. Hope’s stomach twisted in fear at the thought of placing food in her mouth. If you cared about the way you looked, this wouldn’t be necessary. Mark’s voice was engrained in her head, and the memories of his degradation were the only reason she hadn’t gorged herself the second she was free. Because in the back of her mind, she would never truly be free of Mark. Perhaps, one day, her physical wounds would heal, but her soul would be forever scarred. “No excuses,” Abel muttered as he opened a steaming pot and stirred. “No excuses.” He hadn’t even looked up, just stood there stirring, while she silently fumed. She’d had enough of men telling her what to do. Taking in a deep breath with the intention of telling him just that, she paused. Abel had leaned down and opened the oven door. The scent of marinara sauce, baked cheeses, seasoned meat, and Italian seasoning assaulted her senses, and she could do nothing but stare in wonderment at the man in her kitchen. Though his words stung, Hope didn’t even flinch at his observation. The aroma coming from the oven had moved her to her feet, and she was now standing inches from him. It wasn’t as if she’d never smelled decent food before; it had just been a long time since she’d contemplated eating a delicious meal without the fear of gaining an ounce. “It’s hard to eat healthy when you are on the run.” The excuse flew out of her mouth, as a force of habit. Abel slightly lifted a brow, letting her know he didn’t believe her. “That changes tonight.” He turned his body to the side, making room for her to sidle up next to him. “For tonight, we’ll be dining on lasagna, Caesar salad, and garlic bread.” Gently, he took hold of her hand, his warmth invading her cold palm the second he touched her. Guiding her hand to the wooden spoon, he said, “Stir.” Then moved away from the oven and began to prepare the bread. Hope stirred the sauce, light-headed from Abel’s magnetic touch. Of course, she was already riding on cloud nine at the thought of a full belly and a full night’s rest. But while she was hesitant to believe she’d be able to sleep through the night, Hope prayed Abel’s presence would trick her mind into believing she was safe—at least for now. Hope did as she was told. Leaning her face over the cheesy meal, she inhaled. “Jesus, this smells like five pounds.” She regretted the words as soon as they left her mouth, but she couldn’t take them back. She turned to Abel to apologize for her crudeness, but instead of meeting angry eyes, she found his soft gaze. “Listen to me.” He moved to her, his gait sure and steady. “You’re beautiful as is.” His words knocked her a bit off kilter. She opened her mouth to disagree, but Abel softly placed a finger over her lips to hush her. “When I make comments about your weight, it’s not because you aren’t attractive. It’s because I understand the stress your body is under. I want you strong and alert—always. After all this is said and done, you can go ahead and drop the pounds again, if that’s what you want. Hope was unsure of what to say. No one had called her beautiful in years. Mark had only ever complimented her when they were dating, and if another man so much as glanced at her, Mark would remind her that her thighs touched and men didn’t like that. 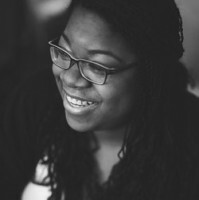 Hope knew she wasn’t ugly, but she didn’t feel beautiful; she hadn’t for some time now. To hear Abel say it with such sincerity, while looking nowhere but in her eyes, made her feel good.